UFC featherweight champ Max Holloway was looking to make history when he met Dustin Poirier in the main event of last night’s (Sat., April 13, 2019) UFC 236 (watch highlights here) from the State Farm Arena in Atlanta, Georgia. The Hawaiian attempted to hold an undisputed title in one division and an interim title in another division. Yet ‘The Diamond’ threw a wrench in those plans. Poirier hammered Holloway early and often, outlasting him over the course of five hard-fought, bloody rounds. It was a great fight that followed a possible “Fight of the Year” in Israel Adesanya vs. Kelvin Gastelum in the UFC 236 co-main event. He was rocked in the opening frame and majorly cut open in the fourth round. But ‘Blessed’ showed the heart of a true champion and even nearly turned the tide in his favor in the third round. Quite the response from Holloway, and another reason why he is so liked in many if not most MMA circles. He took on one of the best a division above his own, and while he appeared the much smaller man doing so, he put on an almost unbelievable show of toughness in the process. UFC President Dana White wants to see Holloway back at featherweight for his next fight, and that’s probably a good idea. There are still some big fights left for him in the weight class. The overdue fight versus Frankie Edgar comes to mind. So does a potential title bout with rising star Alexander Volkanovski if ‘The Great’ gets past all-time legend Jose Aldo at UFC 237 in Brazil next month. ‘Blessed’ was expectedly taken to the hospital following his fight with Poirier last night. He seems to be fine physically and mentally in good spirits, all things considered. He’ll heal up and bounce back at his usual home, where the 27-year-old can continue building his growing legacy following a tough learning experience. 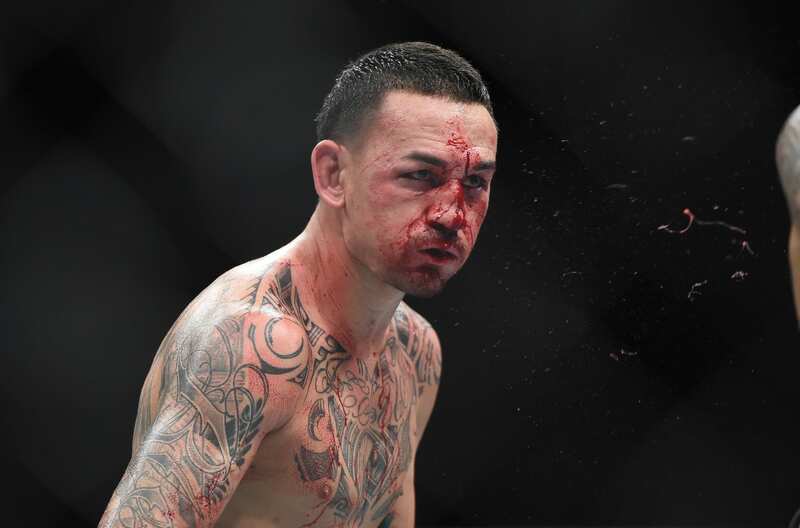 UFC 236 was a small roadblock in the road of a larger journey for Max Holloway. Expect him to return an even better athlete sometime soon.